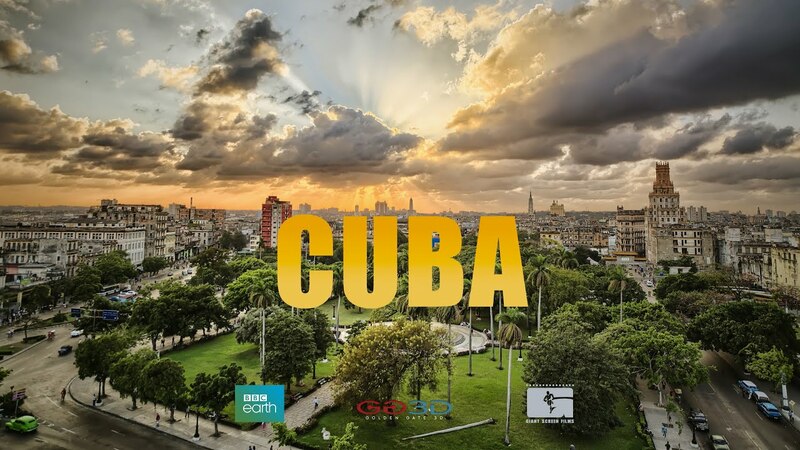 Giant Screen Films, Golden Gate 3D and BBC Earth launched “Cuba, Heart of the Caribbean” worldwide early 2019. It has been one of the most highly anticipated upcoming giant screen releases of the year, including stunning aerial photography of the island. OnSight’s creative team worked alongside Golden Gate 3D to provide full post for this visually stunning feature using our unique digital remastering service. Senior colourist Andy Lee lead the post creative team on this beautiful film. With unprecedented access from the Cuban government, Cuba combines state-of-the-art photographic technology and artistic storytelling to immerse audiences in the rhythms and exuberance of this vibrant nation. The film which was shot in 18 different camera formats, is directed by Peter Chang, who fell in love with the island during a 2015 visit and was inspired to film a new documentary for giant screens and IMAX. Cuba follows several storylines, including a young ballet student who pushes herself to the top of her class with dreams of becoming a prima ballerina. Another focuses on marine biologists who dive deep off the country's shoreline, even swimming with sharks, highlighting the beauty of Cuba’s Jardines de la Reina (Gardens of the Queen) coral reef. Cuba also highlights Eusebio Leal Spengler, the famed Havana historian rebuilding and restoring Old Havana. Guided by Spengler, the large-format film is a suitable canvas for the country's architectural gems. "Seeing the landscapes and the cityscapes on this large canvas will make people realize what’s there just 90 miles from our border," says Chang. "Cuba is a mix of architecture, culture and people. It’s really about the dreams of this country and the beauty and the wonder of it all." 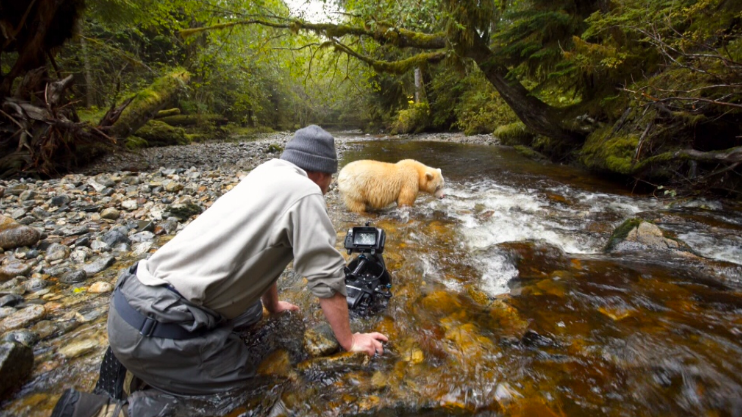 A wild, two-year journey through British Columbia’s breathtaking Great Bear Rainforest will soon grace large screens as a feature-length IMAX movie. Filmmakers Ian McAllister and Jeff Turner and Executive Producers Kyle Washington and Byron Horner of Spirit Bear Entertainment are partnering with MacGillivray Freeman Films to distribute a beautiful giant screen film about one of the rarest animals on Earth—the fabled all-white Spirit Bear. With the Giant screen film about to go into Post Production OnSight’s team expertly provided supervision and 3D conversion for this visually stunning feature. The white bears have a genetic variation that gives them their polar bear looks, these remarkable creatures live in the lush temperate rainforests of British Columbia on Canada's West Coast, where they hold almost mythic status among the region's indigenous people. Shot exclusively for the giant screen, from the air with drones and helicopters and on land using traditional natural history techniques, from boats and underwater. Great Bear Rainforest will offer a remarkable journey into one of the planet's most spectacular wildernesses, a land of wolves, grizzly bears, humpback whales, sea lions, sea otters, and others, as it explores the secret world of the Spirit Bear. “Every time you see them it’s a magical thing,” said Producer Jeff Turner. “They almost glow. It's really a unique and sort of rare thing to see a sort of white bear in this ancient dark green temperate rainforest. The film is set to be released on February 15th 2019. Every day we wake up on a different planet — with each new dawn the Earth is not the place it was the night before. This film tells the story of our planet’s geology on a human time scale. 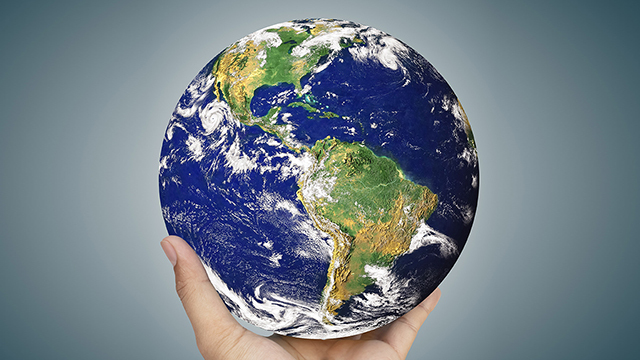 A new era of science allows us to watch as the Earth moves, breathes, shrinks and grows, and all within just 24 hours. Exec Produced by Screen Glue’s CEO and Founder Jasper James, Directed by Matt Dyas, and Edited by Lee Sutton, Screen Glue/Yap Films and ZDF Enterprises’ all new documentary will take audiences through the various extraordinary changes that our planet, Earth, goes through on a daily basis, revealing many secrets that we have only recently been able to discover through use of modern day technology. The story is driven by scientists, explorers and everyday people whose experiences link up with cutting edge data, newly launched satellites and blue chip CGI to show us the true personality of the Earth … more dynamic than it’s ever been seen. Every minute new land is born, every hour tons of rock arrive from space, before you go to sleep a cloud of dust from the Sahara will have fertilized the Amazon, and while all that was happening the North Pole moved nearly 200 meters … Planet Earth is alive in ways we can hardly imagine. OnSight provided full 4K Post Production for Screen Glue’s documentary, ‘A Day In The Life Of Earth’, a fascinating documentary that our team are proud to have been involved in. Follow Bobby and Andrew as they go back to Memphis 25 years later to Ardent Studios and Sam Phillips Recording Studio where they first recorded the original album. The rare opportunity for Bobby to remaster the music he first envisioned, with original session tapes rediscovered the band are finally able to release the music they always wanted the public to hear. OnSight were thrilled to work alongside the Director of the film Clare Lewins, Editor Reg Wrench and the DOP Stuart Luck who each provided their creative expertise on this wonderful picture with Madeleine Molinier as the Production manager and Steve Lappin as Exec Producer. OnSight’s Senior post producer Jeff Halsey managed the picture post process and Senior colourist Andy Lee performed the colour grade, we have been delighted to be a part of this film. 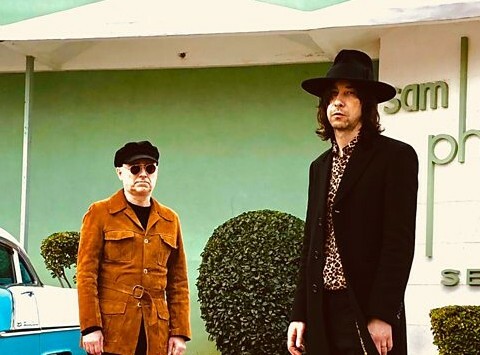 With exclusive, previously unreleased footage of behind the scenes studio sessions, this is the story of how the original mixtapes of the album were rediscovered in a basement by Andrew Innes, Primal Screams rhythm guitarist. The sessions recorded by the band in memphis with the legendary record producer Tom Dowd, along with the muscle shoals rhythm section musicians Roger Hawkins, drums and David Hood bass, did not make the light of day because some of the the mixes were not suitable in the musical climate at the time. Late 2018 OnSight humbly accepted a 3D Lumiere award on behalf of the BBC Earth, BBC Studios LTD, Ocean X and OnSight teams that made OCEANS: OUR BLUE PLANET in 6K 3D for the Imax , Giant Screen and Dome formats. Special gratitude and mentions were made to: Producers, Myles Connolly, Johnathan Williams and Neil Nightingale, Directors Mark, Brownlow and Rachel Butler, all the Cinematographers, Distributer Giant Screen Films LLC, Co-Producers Ocean X and of course our very own Joana Coelho and Rik Tester and the OnSight team. By the creators of the groundbreaking Planet Earth II and Blue Planet II series, Oceans: Our Blue Planet takes audiences of all ages on a global odyssey, from coastal shallows to the freezing shores of Antarctica, revealing the untold stories of the ocean’s most astonishing creatures. The film is a visual spectacle that features cutting-edge science and fascinating new discoveries, the educational content and activities will be tailored around the messages and themes portrayed in Oceans: Our Blue Planet bringing marine science to life for classroom and family audiences. Working closely with BBC Earth productions, Onsight's Senior Colourist Andy Lee and team were thrilled to be a part of this masterpiece. Covering full 6K picture post, including digital remastering for the giant screen, 2D to 3D conversion, visual effects, shot extensions, bespoke giant screen deliverables and colour grading for both xenon and laser projection. The story is narrated by Kate Winslet, directed by Mark Brownlow and Rachel Butler, produced by Neil Nightingale and James Honeyborne, with Executive Producers Ray Dalio and Jonathan Williams and Supervising Producer Myles Connolly. By using breakthroughs in science and cutting-edge technology, the film reveals the astonishing characters, otherworldly places, and extraordinary new animal behaviors. Warm and compelling stories about marine habitats and their characterful inhabitants will leave you emotionally invested in our oceans and the creatures who dwell there and bring a whole new perspective to understanding OUR blue planet. Oceans: The Blue Planet will be available in all formats: 2D & 3D, 15/70 Dome, DCI compliant Digital, IMAX Digital, IMAX Laser, Dome-customized 15/70, Fulldome Digital. Thanks so much for all the hard work, skill and flexibility that has delivered us such a great result. I appreciate just how hard your whole team have had to work to achieve such a high standard in such a short timeframe.